For children and young adults, mastering the art of scuba diving is an experience like no other. 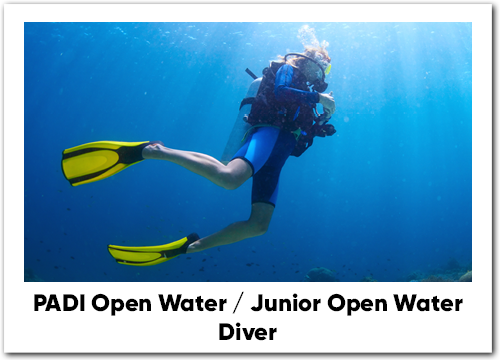 Your child’s first breaths underwater mark the beginning of a life changing journey as a PADI diver. With great benefits for both educational and personal growth, diving provides the opportunity to put classroom knowledge into practice, while learning new skills and building long-lasting friendships. Diving requires patience, dedication and great sense of humour. 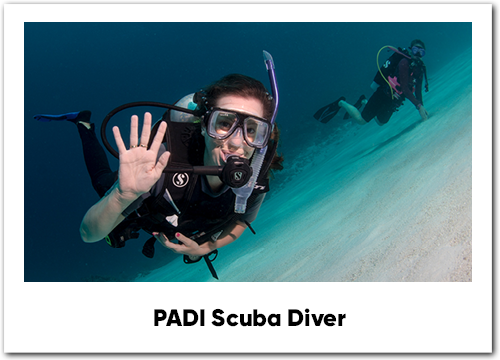 While mastering PADI’s specific performance requirements, students will develop positive characteristics such as communication, trust and open-mindedness, all while gaining a great sense of personal achievement. Encourage them to push the boundaries of what they dream possible. 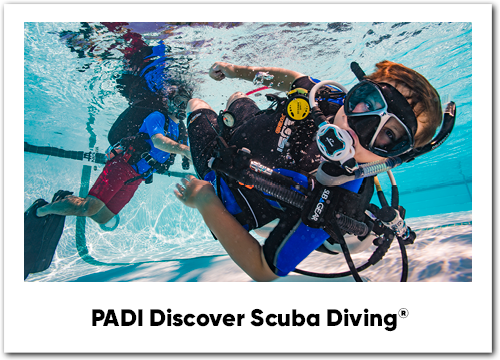 Complimentary to cognitive development, PADI’s performance based learning system allows students to progress at their own pace and under the constant supervision of a qualified PADI instructor. Young students will be immersed in PADI’s encouraging and well supported learning environment. Diving is the ultimate extracurricular activity, with key links to educational subjects such as physics, biology and mathematics. Students will gain greater understanding of human physiology by experiencing the effects of diving on the body first hand and will be inspired by learning about marine biology as they begin to discover the underwater world. 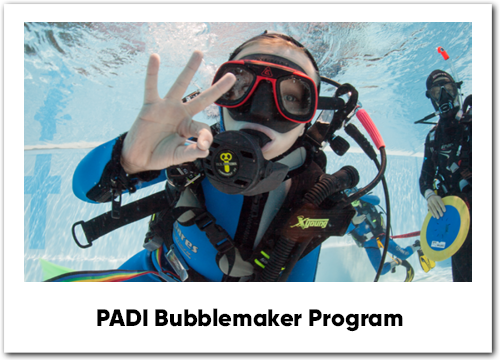 PADI approved Youth Training Centres must adhere to strict health and safety practices and comply with government legislation for working with youth. This includes implementing a Dive Centre Child Protection Policy with dedicated liaison and carrying out comprehensive DBS (Disclosure Barring Checks) with all PADI professionals before allowing them to work with children or youth. When you choose to work with a PADI Approved Youth Training Centre, you can feel confident your young persons are enrolled with the most instructionally sold diver training system available worldwide. 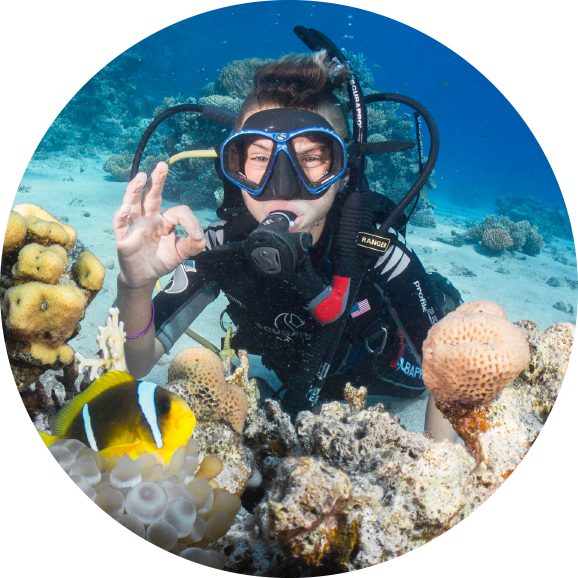 Your child’s introduction to the underwater world with PADI will open the door to a lifetime of discovery and exploration. PADI exists to be best in, and for, the world by empowering divers to become ocean-stewards and supporting critical social and environmental efforts. Through the four Pillars of Change, PADI aims to educate divers, of all ages and abilities, to be proactive in looking after the ocean. The four pillars focus on Ocean Health, Marine Animal Protection, People + Community and Healing + Wellness. By teaching young divers to be confident and competent under the water, encouraging them to explore the aquatic world and inspiring them to care, PADI nurtures of community of environmentally conscious divers working together to be a force for good. If you are interested in learning more about our options for school or youth groups, contact us today!